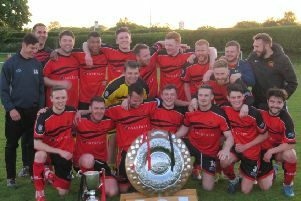 Garstang boss Lee Baker has paid tribute to his players’ performances following a hugely successful season. The Riversiders ended the 2017/18 season as West Lancashire League Premier Division champions, Richardson Cup winners and Lancashire Shield runners-up to Fulwood Amateurs. Subscribing to the adage of teams having the season they deserve, Baker said the Garstang squad fully merited whatever success came their way. “The players have made Neil (Beesley, assistant manager) and myself look good,” Baker said. “You put a squad of players together but you never know for sure which way it’s going to go. Never in his wildest dreams, however, did Baker think that his squad would come within touching distance of doing the treble. 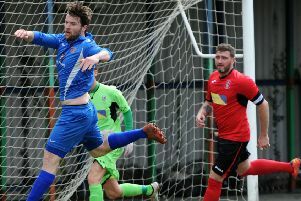 Longridge Town’s victory against Blackpool Wren Rovers handed them the league title with a game to play, while Euxton Villa were swept aside in the Richardson Cup final. The only fly in the ointment was the Lancashire Shield final against Fulwood, which saw the Riversiders beaten by a late goal. While there might be a slight disappointment that two trophies did not become three, Baker believes his players did something other teams may find it hard to emulate. “We didn’t believe they would be as good as they have been,” he said.